Are you are searching for new home builders in Blue Mountains, Penrith or Lithgow? Searching for new home builders in Blue Mountains, Penrith or Lithgow? Are you looking for someone who can build single storey homes or double storey homes? A builder of custom homes in Blue Mountains area who has years of experience and knowledge and will complete the job, on time and within budget? Do you live in Blue Mountains, Penrith or Lithgow? Are you a first home buyer looking for your first home? Maybe you are selling your current home and are ready to build your dream home? Are you looking for custom home builders in Blue Mountains, Penrith, or Lithgow who can build your new home quickly? Or are you an investor looking to increase your portfolio? Do you want a stress-free building experience? 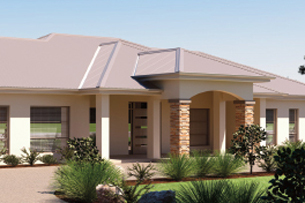 Well, Bonza Homes are building new custom homes in Blue Mountains, Penrith, Lithgow and surrounding areas. We build amazing new homes in all areas of the Blue Mountains. 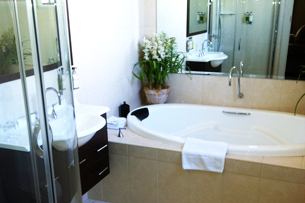 We have been building quality home designs for over twenty years. And we know that you want someone trustworthy and that you want a smooth and trouble-free build. You want an incredible home with minimum hassle and fuss. At Bonza Homes, we know what we are doing. We do it right and we do it on time. And we build your dream home on your block of land – in record time and worry free. No matter what your block size and shape we have an amazing home design to suit your taste and style. We can do small blocks, sloping blocks, corner blocks, re-zoned land and much more. At Bonza Homes, we have an extensive range of single storey and acreage home designs available for you to view. We use a combination of creative designs and sound construction, to bring you a home that you will absolutely love. Our licensed and experienced home builders in Blue Mountains and surrounding areas are experts in design, council restrictions, town planning guidelines, granny flats and much more. At Bonza Homes we organize all building and council permits, and communicate with you at every level of the build, to bring you quality constructions and affordable living solutions. Our custom homes are designed to fit your budget and lifestyle. We have expert scheduling to ensure a fast turnaround time on your home. Our team are friendly, professional, reliable and helpful. We communicate with you extensively at every level of design and construction to ensure that you are kept up to date with the progress of your new home. We deal with all plans, designs, building legislations and Council requirements. At Bonza Homes we are fully licensed and insured, a member of HIA and are known for being trustworthy and honest. There are no hidden costs when you build with Bonza Home. Everything including design, council approval, trades and materials are included. We have a solid reputation builders of custom homes in Blue Mountains and surrounds and provide a seven-year structural guarantee. There is nothing like building a new home. Simply make your selection, pick your style and leave the rest to us. We are successful because we base the entire building process on your needs. Your new home and its quality and completion date are our priority. So if you want an end to building nightmares and a stress free building experience - check out our extensive range of single and double storey homes as well as our acreage homes. Also, take a look at our impressive work on extensions and renovations! 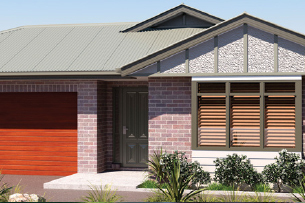 If you are looking for new home builders in Blue Mountains, Penrith or Lithgow areas call Bonza Homes on 1300 733 052 or complete our enquiry form.